Cyber security is one of Australia’s most promising growth sectors according to a new national Cyber Security Sector Competitiveness Plan developed by AustCyber. A Cyber Security Innovation Node will soon be established in NSW as part of the national network to accelerate the growth of the cyber security industry. NSW Minister for Trade and Industry Niall Blair said the Node would be a partnership between the NSW Government and AustCyber, the national Australian Cyber Security Growth Network. “The NSW Cyber Security Innovation Node will focus on building our industry and helping our cyber companies grow and create jobs,” Mr Blair said. At a national level, the Cyber Security Sector Competitiveness Plan identifies a surge in demand for cyber security products and services globally, driven by the growing need of organisations to protect their digital assets and databases from malicious activity – creates huge opportunities for Australian companies. The plan shows how market trends point to tremendous economic opportunity for Australian businesses and technology researchers. But there are several barriers to be overcome. The identifies cyber security as both a dynamic sector offering a new source of prosperity and an enabler of growth through digital transformation in every sector of the economy. The plan identifies a number of barriers that make it difficult for Australia to fully exploit existing advantages and develop a sizeable world-class cyber security sector. 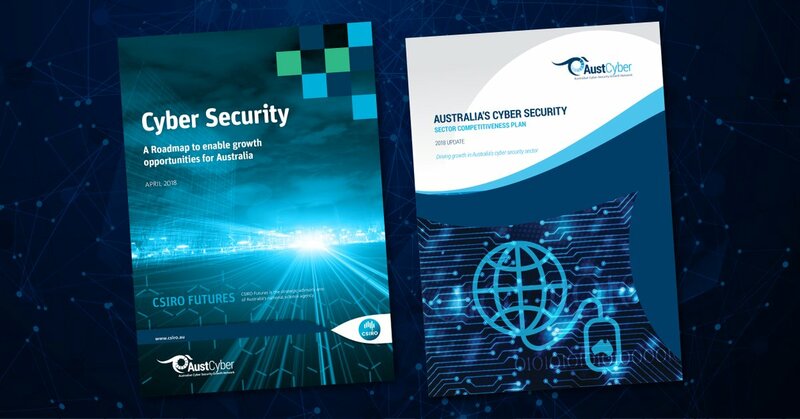 CSIRO and AustCyber have developed an Australian Cyber Security Industry Roadmap to examine the role that cyber security can play in boosting growth in other sectors. Three themes outline how cyber security solutions can lead to more effective organisation and business operations and improve Australia’s overall cyber security performance. Trusted ecosystem: creating digital ecosystems that are highly trustworthy, allowing for rapid exchange of information and providing a stronger environment for trade. Secure by design: ensuring new products, services, platforms and processes are designed with cyber security as a key consideration. Robust and resilient: building greater cyber maturity and resilience in Australian industry and communities by developing a robust security culture.